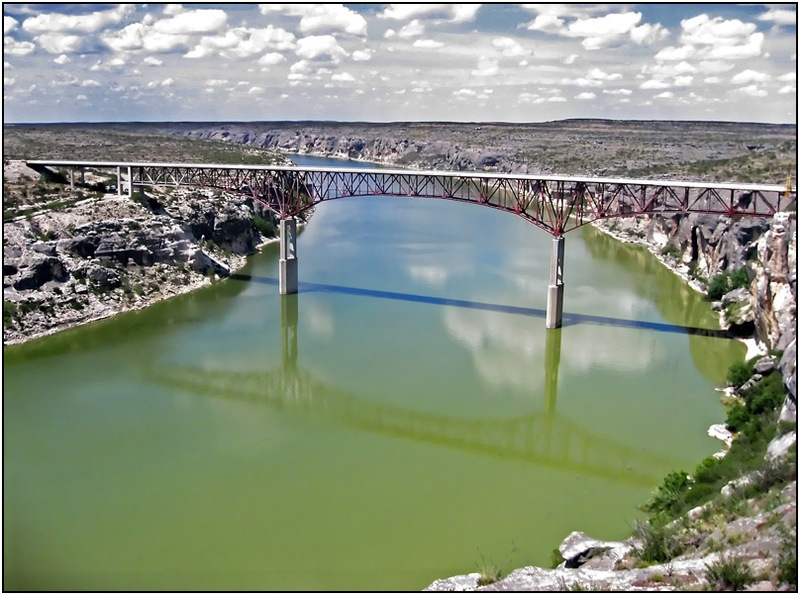 This is a bridge over the Pecos River as it flows into the Rio Grande at Amistad Reservoir. Amistad Reservoir is an international Lake of the Rio Grande shared with Mexico. This is the highest bridge in Texas. The picture was taken from a State viewing area on a bluff overlooking the lake.